Payday Fridays are my favorite because then it means, pay bills, get groceries, and GO SHOP! I always prefer online shopping over actually going out, mostly because my house is so cute and cozy. Here is an outfit I just love that I found today! Love this dress, so much! Perfectly paired with these black tights! 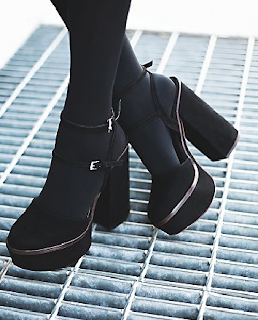 I am so obsessed with these shoes.